Let us now praise the TrackPoint. If you have ever owned a ThinkPad laptop, you know exactly what I am talking about. 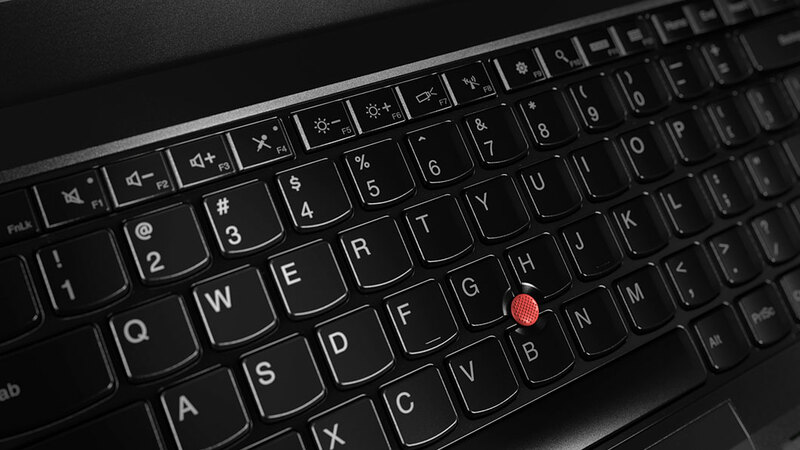 The TrackPoint is that tiny red nub between the G and H keys on a ThinkPad keyboard that performs the function of a mouse or keyboard. Outperforms, ThinkPad aficionados will say. It provides greater accuracy than a touchpad without requiring your fingers to leave the keyboard. It is one of the distinctive features that makes a ThinkPad a ThinkPad. Another is durability. These things are tough as nails and run forever. Over 16 years of owning ThinkPad laptops, I’ve dropped them on hard floors, spilled beverages over their keyboards, and toted them through travels far and wide. Every one I’ve owned still runs. Durability is what prompted me to write a post here six years ago, A Love Letter to a Laptop. So when I was in the market for a new laptop, my choice of brand required no deliberation. A Lenovo ThinkPad it would be. But deciding which ThinkPad was not so easy. I knew I wanted an Ultrabook, a class of thin and light laptops characterized by good battery life and portability. After much deliberation, I chose a fourth option: the ThinkPad T460s, which Lenovo advertises as an enterprise-ready 14” Ultrabook. It is a lighter cousin to the T460, weighing in at 3 pounds, but with more of the features I wanted than are available in the ultralight X1 Carbon. I have not been sorry. Good deals on preconfigured ThinkPads can be found on Amazon and other retail sites. 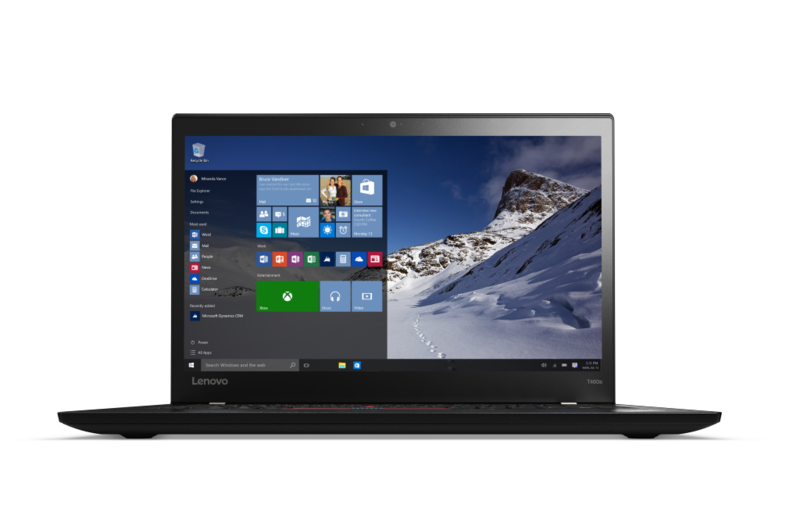 But if you want to configure it to your own preferences, then buy it directly through Lenovo’s website, where you can choose the processor, hard drive, memory and other options you prefer. As of this writing, prices for the T460s range from $980 to nearly $2,500 fully decked out. Processors available for the T460s range from the 2.3 GHz Intel Core i5-6200U to the 2.6 GHz Intel Core i7-6600U. Memory can be expanded up to 20 GB. There are a selection of solid-state hard drives up to 1 TB. Base models come with a full HD 1,920-by-1,080 resolution anti-glare screen. An upgrade adds touch to the screen at the same resolution. Also available is a Wide Quad HD 2,560-by-1,440-resolution non-touch screen with a 16:9 aspect ratio. In configuring my T460s, I chose the i7-6600U processor, 12 GB of memory, the touch screen and a 256 GB solid-state drive. Other options I added included Windows 10 Professional, a backlit keyboard and a fingerprint reader. My total price came to just under $1,300. All models come with Intel HD Graphics 520, a 720p HD camera, Dolby Home Theater v4 audio, a 4-in-1 card reader, a headphone/microphone jack, Intel vPro 2 x 2 802.11 a/c, and Bluetooth 4.1. For ports, the T460s has three USB 3.0 ports (one an Always On connector for charging devices even when the laptop is powered off), an RJ45 port for Ethernet, and a Mini DisplayPort and HDMI port for video out. (If you need a VGA port, look to the T460 or get a docking station.) It also has a Kensington lock slot. A smart card reader is optional. On the bottom of the laptop is a docking port for use with Lenovo’s ThinkPad Ultra Dock. When the delivery from Lenovo arrived, I was amazed at the lightness of the package, even before I opened it. Once I sliced open the packaging and slid out the laptop, it felt just as I had hoped – thin and feather light. But this laptop is no lightweight in toughness. 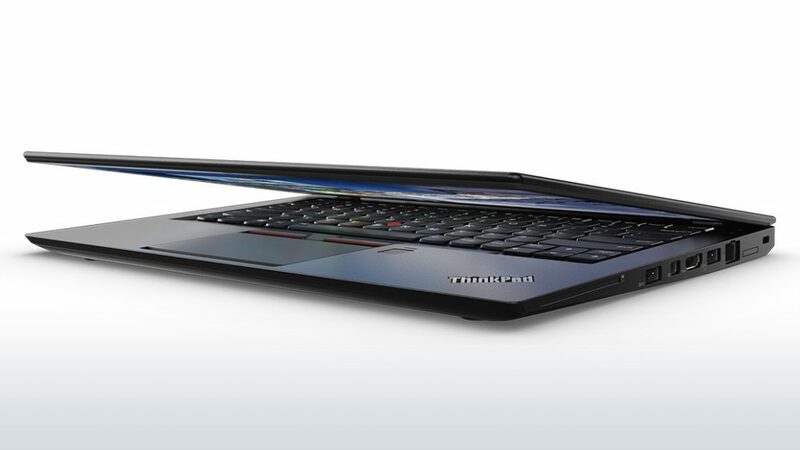 The T460s has a carbon-fiber-reinforced lid and a magnesium body. Lenovo says that the T460s has passed MIL-STD 810G durability tests to withstand extreme temperatures, high altitudes, humidity, vibrations and electrostatic discharges. Security is a key requirement for lawyers and the T460s does not skimp. Its fingerprint reader ensures secure logins. It comes with Intel vPro, which allows IT departments to remotely manage device security and protocols, and Trusted Platform Module, which can be used to secure hardware by integrating cryptographic keys into devices. As someone who spends much of each day writing, I have found the T460s’s keyboard to be possibly the best laptop keyboard I’ve ever used. Its keys are a modified Chiclet style with a comfortable, slightly curved surface. They provide the tactile feedback and deep travel of a desktop keyboard, making them a pleasure to type on. The keyboard is spill resistant and has two levels of backlighting. I’ve already sung the praises of the TrackPoint, but for those who prefer a touchpad, there is a 3.9 x 2.2-inch buttonless Trackpad. Its matte surface provides subtle friction and it responds well to both Lenovo and Windows 10 multitouch gestures. My one gripe with the Trackpad is that, because of its large size, my palm sometimes hits it when I use the TrackPoint. The touch screen stands out for its unique design. Most touch-screen laptops require a reflective layer on top of the LCD panel. 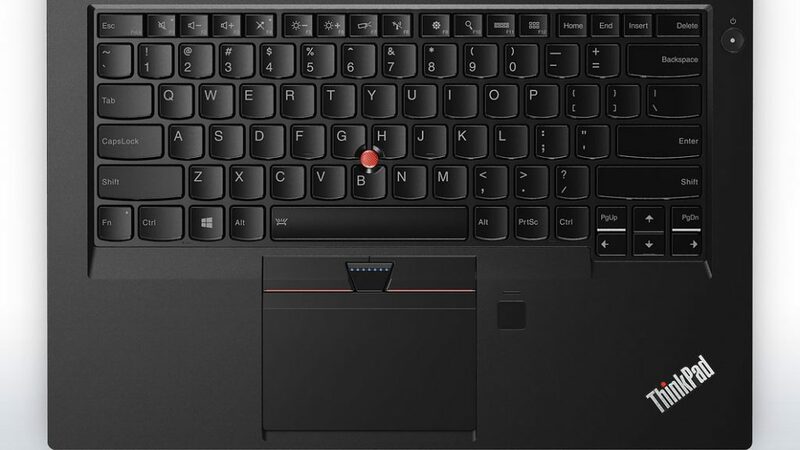 The T460s uses Lenovo’s In-Cell Touch technology, which builds the touch sensor directly into the LCD components. This results in a thinner display with a bright matte surface that is highly readable and provides good viewing angles. When using an external monitor, the T460s supports displays of up to 2560 x 1600 pixels using the Mini DisplayPort connector and up to 4096 x 2160 pixels using the HDMI connector. Two other features worth noting. One is the audio, which is quite good for a business Ultrabook. The Dolby Audio software has an equalizer to adjust sound settings and comes with presets for movies, music, games and voice. The other is the 720p webcam with dual microphones, which provides good quality images and sound for video calls and conferencing even in lower-light settings. I had done my homework and knew going into this purchase that the T460s might have a battery problem. Its predecessor model, the ThinkPad T450s, had been widely praised as one of the best business laptops on the market, in part because of its 12-hour battery life. That was thanks to a dual-battery construction in which one of the two batteries could be swapped out for a high-capacity extended battery. While the T460s retains the dual batteries, Lenovo eliminated the ability to remove one of them. That was a design decision that makes this model slimmer. Lenovo rates the battery life at up to 10 hours. However, tests published by several laptop reviewers rate the life at roughly eight hours on average. (This is the same as the T450s did without a high-capacity replacement battery.) User reviews on Lenovo’s website complained of even shorter battery life. For me, this was not a deal breaker. Rarely do I work unplugged except when traveling. If I get six hours on batteries, let alone eight or 10, I’m good. In my mind, the features the laptop does have outweighed the possibility of less-than-satisfactory battery life. I have tested it just once, running the laptop solely on battery and using it as I normally would, with various documents and browser windows open and Spotify playing in the background, but with the screen brightness reduced slightly. In that test, the laptop shut down at just about seven hours. User reports posted to the Reddit ThinkPad group suggest that six or seven hours is typical. If this is a concern for you, then look at the T460, which retains the hot-swappable battery configuration that the T450s had. 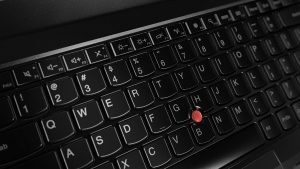 Does it all come down to the TrackPoint? Not really. Going back to their IBM roots, ThinkPads have always maintained a well-deserved reputation as among the best and most durable business laptops. After three months of use, I have found the T460s to be the ideal combination of power and portability. Your preferences may differ, but no matter, because Lenovo offers a range of ThinkPads suitable to just about any professional purpose. Given the sturdiness and security of ThinkPads, they are a good choice for any legal professional.